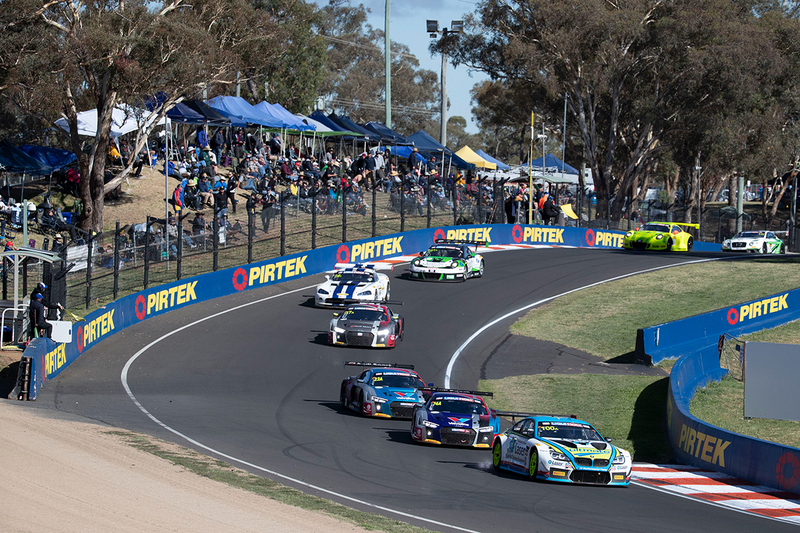 Supercars officials will evaluate an in-car warning system being used at Mount Panorama for the first time in next week's Liqui-Moly Bathurst 12 Hour. The 2018 GT race was brought to an abrupt end when Ash Walsh's stricken Audi was collected by the Mercedes of John Martin between Sulman and McPhillamy Park in the final hour. That prompted fresh discussions about additional systems to warn drivers of upcoming hazards, and an ongoing Supercars Commission investigation into early-warning mechanisms. Cars competing in this year's 12 Hour will be fitted with new dash lights that are managed by race control through the MoTeC electronics that monitor the Balance of Performance parity. The alerts will mirror flags displayed at marshal points and existing trackside lighting – yellow in the event of an incident ahead or Safety Car, or red in the event of a session or race suspension. It is expected to be beneficial in the high-speed run across the top of Mount Panorama, which includes blind corners, particularly as drivers navigate lapped traffic. Supercars and governing body CAMS will monitor the system throughout the January 31-February 3 weekend for potential application beyond the 12 Hour and Bathurst. "This system will be a first for Mount Panorama," said Bathurst 12 Hour sporting director David Stuart, who joined CAMS this year from his post as Supercars sporting and technical director.